In these times it is essential to have medical cover because you might need it at any time. There are different types of health coverage, and a hospital plan is one of the good options. You never know when an accident can happen, and you might need it. A hospital plan is very much like a medical scheme, but without day-to-day benefits or a savings plan. In other words it only covers your hospital costs. Many plans include benefits like maternity, medical procedures and so on, but this differs from policy to policy. One of the benefits is that it is much cheaper than a medical aid scheme, but remember, you can’t use it to cover GP visits, dentistry, medication etc. What is a HELP Plan? A Health Events Life Plan covers you for the days you spend in hospital. These plans pay you a certain amount each day that you spend in hospital. Please note that these plans do not cover your medical bills, but is paid into your personal account. You also do not need to spend this money on any medical related products or services, if you want to you can go shopping with it or put it in a savings account. HELP policies usually also cover accidental death/disability or dread disease. There are some regulations with a hospital plan, but that is the case with every insurance plan that you may get. Some plans only cover certain medical procedures, or requires that you have to operated in the hospital and not in a GP’s facility. Whatever the case may be, make sure you always know exactly what is covered in the policy to prevent disappointment. A hospital plan is a great option to have for the times you might be in the hospital. You never know what can happen, and unfortunately, at any time you can end up in the hospital. We always hope for the best, but we should prepare for the worst. Hospital bills can get quite high, but with a hospital plan, you will be provided with some financial relieve. This means that when you are in the hospital, you can just relax and focus on getting better and healing. You do not have to be in pain and also worry about how you are going to pay for the time you spend in the hospital. Who should I have this? When you want to have coverage, you should take your day-to-day medical expenses into consideration. If you are a person whose daily medical expenses is minimal, then this is a great option for you. If you are a healthy individual who rarely needs medication and who does not often get sick, this is an excellent choice for you. Why spend all your money on medical aid every month if you are healthy and do not use it? 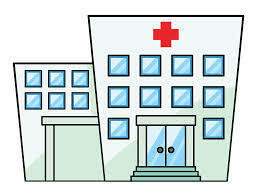 A hospital plan is a good way to be covered if you are a healthy individual and do not have a lot of medical expenses. Need other types of cover? 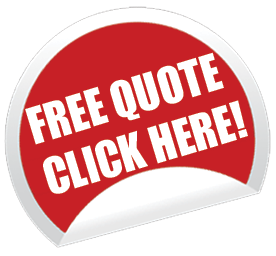 Click here to browse our website.